and Share us with your online friends. One way cholesterol does it's bad thing is to build up on an artery wall, which narrows it - the basis of cholesterol induced heart disease. The cholesterol then becomes encapsulated by a fibrous deposit, which narrows the artery even further. This cholesterol process alone can cause weakness and reduced blood flow to vital areas of your body, but what's worse, is if the fibrous deposit ruptures / tears / breaks open. When these ruptures occur, the body attempts to repair the break it then perceives in the artery wall, by creating a blood clot over the rupture - the blood vessels normally fix themselves like that - but with the cholesterol buildup on the artery wall, the fibrous coating that developed over the cholesterol deposits and the resultant narrowing of the artery at that point, the blood clot that is formed to repair the rupture, can block / close the artery, preventing blood flow. This is called a stroke and this is the role that cholesterol can play in causing a stroke. If the stroke occurs in an artery feeding the heart, you have a heart attack! You may have heard that inflammation of the blood vessel is an important factor in choleserol induced strokes. When blood vessels become inflamed, the body releases cells and chemicals to reduce the inflammation, but these can attack the cholesterol deposits, driving them off the artery wall , producing blood clots in the process and all this is then swept along in the bloodstream, and if if it finds a point narrow enough, such as caused by other cholesterol deposits in major arteries or it just runs into a small enough artery, it can block it, causing a stroke to occur. You may have heard about the cholesterol myth, hoax, great con, lie, but the truth is, it's hard to believe everything these people are saying, when you can see the cholesterol clogged arteries, see the results in strokes of body parts caused by cholesterol build up, see people suffering from blindness caused by excess cholesterol. I wonder which is the cholesterol myth - perhaps the whole idea of the cholesterol myth is the hoax, with the ones perpetuating the idea of the myth making the money from book sales and the like. Does lowering cholesterol do anything for the cholesterol deposits already grown over? Yes! 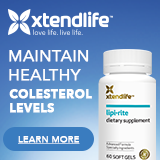 Lower cholesterol to normal or better and the narrowed areas of the arteries caused by the cholesterol, even those cholesterol deposits that are grown over, will have the narrowing reduced by as much as 30% per year. That is, the arteries will be less narrow and more normal in size. What's more, after one year of lower cholesterol, the risk of stroke also is substantially reduced - it is much less likely that the blood vessel will rapture at the narrowing. Well, now you have an idea as to why we control cholesterol, how cholesterol can lead to a stroke and hopefully to be motivated enough to do something about it, like read the rest of this web site!